When I am down He sits with me and cries with me and then He wipes my tears away. When I am joyous He sings and dances and laughs with me until I can sing and dance and laugh no more. When I am cruel and selfish and full of pride He comes to me and gently shows to me the better way. 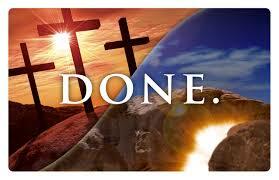 When He uttered the words, “It is finished”, what had He done to say it so? Have I been His?! - I pray so ‘til the end !!! The hungry of this land. The way to help the poor. A voyage of true care.